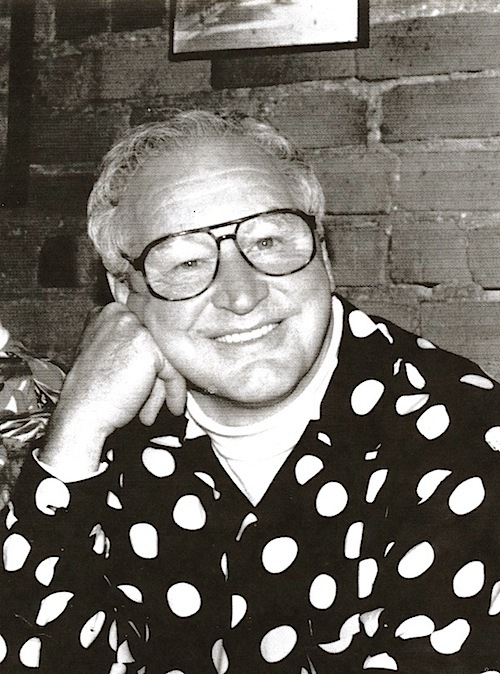 Mr. Bert Shaw (1930-2010) was a talented dancer, choreographer and teacher, who spent many years performing on the stage and on television. He passed away in Melbourne on Tuesday 24th August, 2010. Bert was the principle dancer in the 1958 Playhouse stage version of Coralie Condon’s The Good Oil, where he met his wife Dorothy Wilson. Bert referred to Dorothy as ‘Dottie’, for it was common for Bert to give everyone a nickname. Bert and Dorothy joined with Judy Schonell and Reg Whiteman to form Guys and Dolls, to perform on the first edition of Spotlight, a pioneering variety show in Perth, Western Australia. Spotlight was a series of sixteen programs first broadcast on the opening night of TVW Channel Seven, on Friday 16th October, 1959. It was a half hour show written and produced by Coralie Condon, directed by Beverly Gledhill and compered by Phillip Edgley. Following the completion of the series, the Shaws moved to Melbourne, Victoria, where they became well known in the theatrical, dance and television industries. Bert’s roles as dancer and choreographer involved working for all Melbourne television channels, where he featured on “The Don Lane Show” and the “Saturday Special” variety program with performances by the Bert Shaw Dancers, including a “Royal Command Performance” for her Majesty Queen Elizabeth II and an association with Rudolf Nureyev, to name a few. Bert Shaw was huge in Melbourne dancing circles, being the choreographer for many high profile shows. ATV Channel 0’s Kommotion (1964-1967), a fast-paced, teenage Top 40 pop show hosted by 3UZ Melbourne DJ Ken Sparkes, which introduced mime artist Ian ‘Molly’ Meldrum and go-go dancer Denise Drysdale to national TV audiences. Jimmy (1966) also from ATV, was Jimmy Hannan’s first night time show. Ted Hamilton’s New Wave (1973-1974) from the Australian Broadcasting Commission. The Don Lane Show (1975-1983) was a two hour show from GTV Channel 9 featuring big musical numbers, celebrity guests, and comedy sketches that went live-to-air twice a week. The Saturday night Ernie Sigley Penthouse Club (1978-1979) variety show at HSV Channel 7. James Peggler Show (1981) for the ABC. James Pegler won ‘Showcase’ in 1979 and recorded a number of albums, including a gold album. A number of grand TV commercial productions along the lines of legendary Hollywood movie director and musical choreographer Busby Berkeley, including the Esther Williams aquamusical style for the Canberra Television Rental company. Then there were television specials involving the hilarious and highly entertaining Four Kinsmen and another dealing with the music of American composer and songwriter Cole Porter. The Moomba Festival Showboat performances, including 1986 before her Majesty Queen Elizabeth II. Bert also taught dance with Camille Edwards at the Edwards & Shaw Studios in Melbourne. Their dance studio provided studies in classical ballet, jazz, tap, funk, singing and acrobatics. Bert’s funeral service was held on Thursday 26th August, 2010, in the Crick Chapel, of the Fawkner Crematorium, in Fawkner, Victoria, a northern suburb of Melbourne, where many attended the 9.15 am service to pay their respects and celebrate his most productive life. I first met Bert when I was 23 years of age. A very very long time ago!!! He was holding auditions for Channel 7’s Moomba Concert, and my friend June had told me to go along. So there I am petrified in front of this amazing choreographer, who I had always wanted to work for, from the age of 15 watching the show Kommotion!!! He was so kind, there was a moment when he said to me the leg should go there, my response was it will!!! And there it was…… I was in!! I was over the moon, couldn’t believe it, and so was forged a remarkable partnership and friendship. I was a Bert Shaw dancer, for the next 4 years we did all the TV variety shows for Channel 2, Channel 9, Channel 7 and Channel 10. I auditioned for ‘A Chorus Line’ and was lucky to land a role, Bert was so proud and so he should have been, it was his mentoring and guidance that got me to that professional level. While I was doing ‘A Chorus Line’, Bert said to me, “I want to teach” and I was already running my dance studio. I said fine come in with me, I’d love you and I to teach together and so the Edwards and Shaw Dance Studio was formed. We taught happily together for 20 years in Coburg. Bert was an amazing teacher and so funny, the kids would be in hysterics at his antics and cute sayings, words like lappiden and bezzled were often on his lips and we would be thinking… What the ????? He had his own special language. He had lots of success with students in competitions and two of our students won the prestigious Lilly Allinson Cabaret Solo Cup. He also organised and choreographed The Commonwealth Society of Teachers of Dancing (CSTD) Jazz Syllabus that is taught not only in Oz but in Japan and Europe. 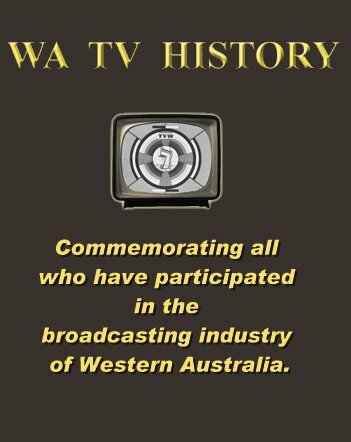 We still collaborated on many commercials and shows, Taubmans Paints, Coles, Tic Tac Toe and of course his fabulous Canberra Television commercials which won awards. Bert wasn’t just a choreographer he knew so much about filming techniques, split screen work and slow motion work were a specialty. He was so clever. As well as the Coburg studio, when Bert moved to Broadford he started up The Tallarook Academy of Dance, teaching many talented kids from the area. He was as beloved there as he was in the Coburg school and was teaching there up until last year. He loved teaching those kids and they had loads of success with their exam work which Bert was so proud of. Outside of the studio we had a friendship as well. My ex husband David and Bert got on really well and my whole family looked on Bert as a close member of our gang. Sharing christmas dinners, birthdays and anything else that was going on. Up until March this year we were still able to go on a Saturday to the Rose Garden Cafe or Kemp’s Bakery in Kilmore for our special tea and cake, usually a bee-sting or scones with jam and cream. We had many a laugh when I would remind him of the old days and the funny things that would happen on live TV. He would raise his eyebrows and chuckle away! I will miss my friend, my little mate but, my memories are as they say golden. He is forever in my heart and has my utmost respect because at the end of the day Bert Shaw was a pure gentleman..
Information kindly provided by Eileen Lowe, Basil Brown and Dorothy Glover (former Dottie Shaw, nee Wilson). Bert went to the Maylands primary school before gaining a job at age 14 with the Tivoli Theatre, as a stage hand and pulling curtains. The Tivoli was located on the site of the demolished Canterbury Court Ballroom, now occupied by the Northbridge Centre (the former Myer Megamart building). Bert learned dance and acrobating from Marion Nixon, who was then married to the 6PM radio announcer and talented pianist John Anstey. Marion Nixon ran a dancing school and was the choreographer for many of the repertory shows. Bert also joined the Young Australia League (YAL) an Australian youth organisation which was formed in Perth, Western Australia, originally as a development organisation for Australian rules football in Western Australia, but soon diversified to include literature, debating, band music, sport and theatrical performances. They also established the Araluen Botanical Gardens. Bert met his lifelong friend Basil Brown through the YAL, and with their entertainment troupe called ‘The Legionnaires’, toured the wheat belt, hospitals and the prison, to present reviews. They also performed ‘The Student Prince’ and ‘Show Boat’ at Perth’s His Majesty’s Theatre. Bert established The Bert Shaw Dance Studio in King Street, above a garage, opposite His Majesty’s Theatre, and a dancing school in the outer suburb of Armadale. 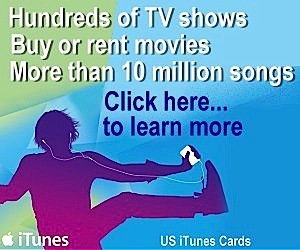 He also put on concerts. During the pre-Playhouse years, the local theatre scene was amateur based. Though the Perth Repertory Club developed from humble beginnings to become a fully professional theatre company after the opening of the Playhouse Theatre in 1956. One of the groundbreaking Australian playwrights who produced shows for the theatre was Coralie Condon, who engaged Bert Shaw and Judy Schonell as the principle dancers in the 1958 Playhouse stage version of her musical comedy ‘The Good Oil’. Bert also met his future wife Dorothy Wilson during this production. Dorothy received her dance training from Shirley Halliday. Bert and Dorothy married in May 1959. 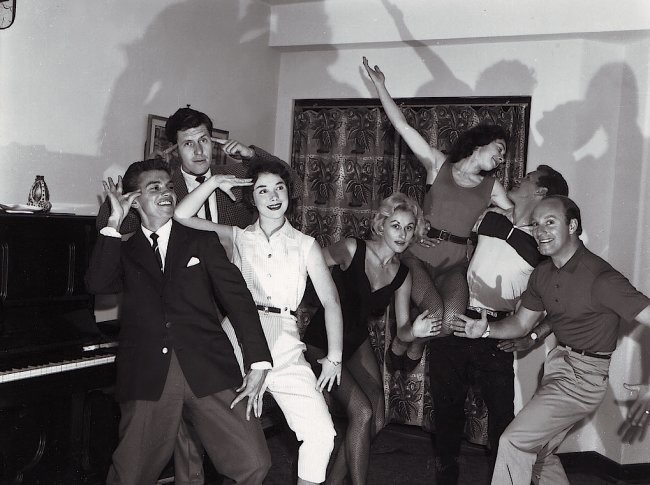 Bert and Dorothy Shaw, with Judy Schonell and Reg Whiteman, formed the dance group ‘Guys and Dolls’ for the pioneering television variety show ‘Spotlight’, where episode one was presented on Friday, October 16th, 1959, for the opening night of TVW Channel 7 in Perth. Coralie Condon was the producer and key talent hirer. Meanwhile, Dorothy and her brides maid Eileen Marks, who were working for a Perth solicitor, successfully applied for secretarial work at Channel 7. Eileen became TVW’s first News Secretary and production assistant to Perth’s first television news editor, Darcy Farrell. Dorothy did not stay long, and following the conclusion of the ‘Spotlight’ series, moved with Bert to Melbourne to seek further theatrical work. On arriving in Melbourne, they approached the various theatre companies. Bert and his close friend Basil Brown auditioned successfully for ‘The Music Man’ at the grand Victorian style Princess Theatre in Melbourne, where the show performed from March 5th, 1960. The entrepreneur and theatre lessee Garnet H. Carroll (1902-1964) employed them. From the 1950’s onwards, commercial plays and musicals were presented at the Princess in competition with J.C. Williamson, who operated Her Majesty’s Theatre in Melbourne. Meanwhile, Dorothy, an award winning tap dancer, successfully auditioned at the Tivoli the same week. Next production was ‘The Merry Widow’ with the internationally acclaimed Australian soprano opera singer June Bronhill (Sadler’s Wells Opera Company Production, now the English National Opera) followed by the opera, ‘Orpheus of the Underworld’. Productions that travelled all over Australia and New Zealand. On his return to Australia, Bert who was the Ballet Master, sent for Dorothy’s sister Eileen to replace one of the ballet girls. Meanwhile his friend Basil went touring with J.C. Williamson’s production of ‘My Fair Lady’. Bert, Dorothy and Eileen were soon busy working in television at the ABC, where Bert was appointed choreographer for the ‘World of Operetta’ and ‘World of Song’ with Suzanne Steele and Jon Weaving, which ran for three years. Followed by ‘Pieces of Eight’ with popular dancer Tiki Taylor. The next step involved servicing the dancing needs of the commercial television industry. Bert also worked with Rudolf Nureyev, Judy Garland and Liza Minnelli. He loved telling the story where he introduced Liza Minnelli to Peter Allen. Sadly Bert and Dorothy’s marriage broke down and they divorced in 1973, though remained friends. Dorothy remarried and is now Dorothy Glover and lives in Perth. 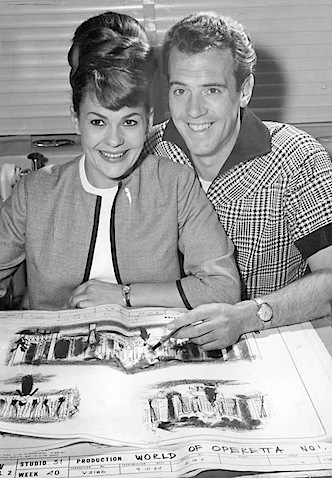 Bert never remarried but continued to be close with Eileen and her husband Clif Lowe and family. Year later, when the ailing Bert required care, the medical staff thought he was delusional, as he mentioned famous people he worked with. Basil reports that a personal phone call from Liza Minnelli, on a recent visit to our country, finally confirmed that Bert did in fact know many famous people, and that he was universally loved. Friends maintained a continuous vigil at Bert’s bedside until his passing. Coralie Condon, Camille Edwards, Eileen Lowe, Basil Brown, Dorothy Glover, Reg Whiteman, Audrey Long and Darcy Farrell were most helpful in the compilation of this tribute. It was with tremendous sadness that I learnt of Bert’s passing from the Logies. Standing in front of the TV after school dancing along to the routines on Komotion was the highlight of my day and then, years later, to actually get to meet and learn from the man is an experience I will never forget. Bert was unique; not just extremely talented but a thorough gentle(man) with the most wicked sense of humour, best story teller and inspiration. He and Camille taught me how much dance is such an important part of life; it is not about the steps but the involvement of the emotion. Bert was my teacher and he was the best I have had! He was my choregrapher along with Camille Edwards in the late /70s and early 80’s. He made it possible to get professional dancing work which was a highlight in my life. I still remember the steps he taught me. Step forward, then back, look over the shoulder. He’d make this sound that was an expression of the steps, kind of like ‘choo choo’. He often would compliment me and gave me a lot of confidence. He was sweet and dear, and I am lucky to have known him and have the wonderful experience he made possible. For some time now, since moving to Central Victoria, I have been trying to find the whereabouts of Bert. We were good friends when we both had businesses in Glenferrie Road, Malvern, and spent hours chatting about everything – especially music. He was always kind and generous, always ready to help whenever it was possible -or necessary. I last found him when he was living in the Ashburton area – where he still had is much loved ‘bitzer’- “Deefer” We had lots to talk about – and promised to keep in touch. I was so sad to read that he had passed away – and that we never did manage to catch up with that cuppa. Rest in Peace friend. My mum Shirley Dyson’s cousin. She talks about him often as a great dancer and singer from their childhood.